Here is where the rubber hits the road, so they say…or the art hits the product. You need to take the time to carefully write down all the tactics, the exact and detailed steps that you must execute to achieve your marketing goals. Now if you have been following along, you may remember that ‘Prioritizing Your Products & Promotions’ is really where you need to focus your objectives, and therefore, your tactics. So how will you spend your time to meet and exceed all those targets? And here is a key fork in the road, because if you don’t know what to do to achieve those goals, you need to get help and some answers. A bit of mentoring, coaching or colleague advice at these critical points can save you a lot of time and money in the long run. Spend a bit of your time and budget to know you are doing the right thing to get to this year’s finish line. Once you know what you need to do (and in most cases, your tactics will include times you know what you need to do and some where you needed help figuring it out), then get them down on paper and jot down any related timing and budget issues. It is also important to consider any assistance, and other factors necessary, to complete the tactics. 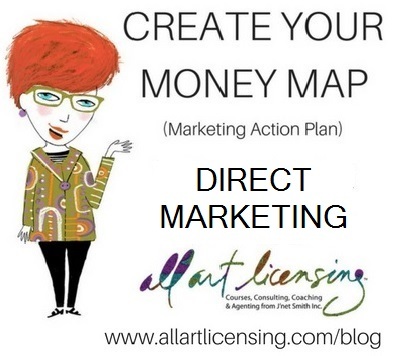 Here is where you can consider themes to entice new audiences and reconnecting with existing licensees to expand your business. 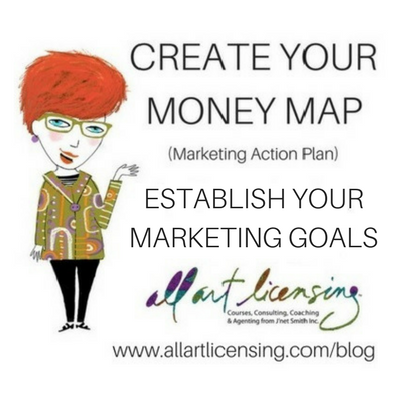 Also make sure you plan for time to market existing successful collections to new manufacturer licensees. If creating your own product which you sell to leverage toward future licensing deals, then get those details on your tactic list. Remember that each item needs to start with its conclusion, so you can work backwards to create a time frame for achieving the goal and incorporating your budget items. For many years now, I have been addressing the concerns of creators, through coaching, classes and blogging. 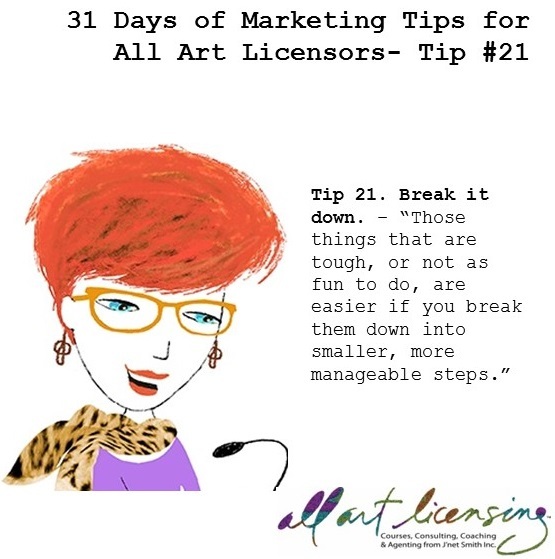 While understanding the licensing model and its process is very important to being in this business, it really all boils down to two things. 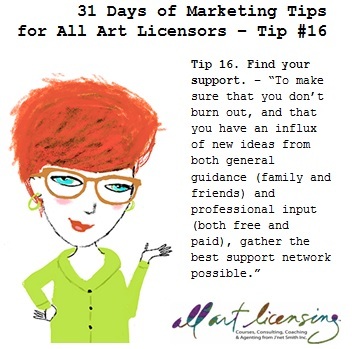 First, do you have a creative asset, whether it’s a cartoon character, art, writings or some other creative endeavor, and the desire to have it out in the marketplace? And, secondly, do you have the ability to sell it to others, both to businesses who can help you grow (B2B) the end-users, your fans and consumers (B2C)? So literally, it’s your creativity and ability to market what you create that will make or break your capacity to build a business. Many creators have a passion for getting their work into the marketplace and into the hands of fans across the country and the world. However, that fiery passion becomes sludge in their veins when it comes to thoughts of marketing their work. I see it every day. Honestly, the brands, art and characters that ‘make it’ are the ones which have a person and team to persistently sell and leverage their intellectual property assets. 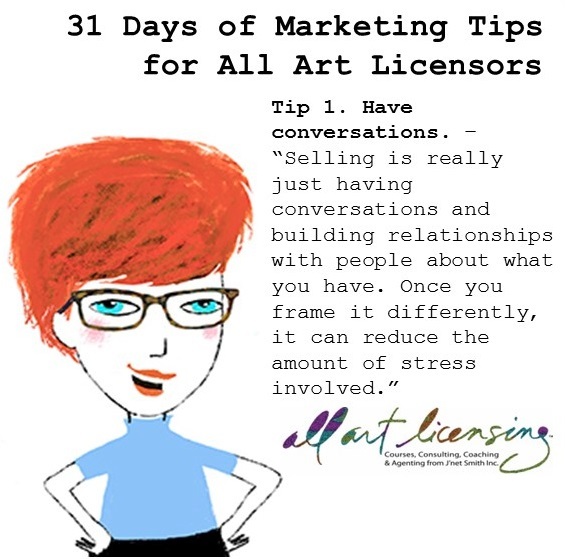 If you want to sell your art, either directly or through licensing, the same marketing skills are needed and it’s time for artists to get it through their heads (and hearts) that marketing and sales are not the enemy! They are in fact the only lifeline you have to creating an income from your ideas. For the month of October, I am offering a terrific place to start with developing your marketing and sales skills. Some are small steps you can take to improve your marketing and sales, and improve your business. They may be small quotes, but they are based on big ideas, and they all need to be practiced and accomplished.